A very important document, the “Future libraries report: Change, options, and how to get there” by the Local Government Group/MLA was published on Friday. It gets off to a good start with a statement that “The best libraries are at the heart of the council’s approach to everything from lifelong learning to wellbeing, job seeking, volunteering, education and encouraging more people to get online.”, although it is a tad bit of shame that the word “book” is not used at any point on the first page (indeed not until page 22). Close down libraries and move them in with otherr services such as jobcentres or move those services into libraries (“co-locating libraries”) and/or closing them and putting some books into shops, health/leisure centres, police stations (“non-traditional outlets”). It would serve no purpose to summarise the rest of the report (some of it is fairly tedious) so I will merely list the bits that are of interest to a non-senior library specialist. The report’s most interesting, for me, section is about merging library services with savings of up to 25% mentioned, although an example of an authority which has achieved this is not given (Slough has apparently, though saved 15% in its merger with Essex). Other authorities that are merging services are described (a complete list is here). Given the high level of interest in the subject, the report has remarkably little to say on private companies taking over libraries. It says “A private sector provider now operates in Hounslow and other new providers are entering the market opening choices and comparators for financial and service performance.”. That’s it. The report does not mention the 8 libraries that were initially selected for closure this year in Hounslow or the £300,000 cut from its bookfund. On the subject of volunteers, the report lurches into uncertain factual grounds, saying that in “some areas local people want to play a more active role in running libraries, and councils are working through the implications of this for their statutory duty under the Public Libraries & Museum Act 1964 to provide a comprehensive and efficient service.“. This is highly questionable as it should be noted that there is not a single case of this happening without the Council having made clear that the library would close otherwise. Strong political leadership is seen as essential, due to the “high level of public interest” in any changes to libraries. The phrase could of course be put more accurately as “high level of public opposition”. Other important things to bear are in mind is the importance of clearly stating what is required and what will be given/expected to people taken over the service. This is seemingly quite basic advice and it’s scary councils are apparently needing guidance on this, although a report from North Yorkshire today confirms that they do. Interestingly (given the many current legal challenges) the need for strong legal advice is stated. There are whole sections (such as “positioning libraries”, “internal capacity to support change” and “Analysis of need”) which can be summarised as Make Sure You Know What You’re Actually Doing and That You Can Actually Do It. Again, this is worrying that councils need to be told this. Given the poor general council record on consultation the section on “user and community engagement” rings a lot of bells. The line in the report (p.27) that “the earlier the engagement and the better the communication, the better the outcomes overall” should perhaps be in large bold font. Worryingly for library staff everywhere, the otherwise almost pathologically (my money is on the author having been on a “think positive” training course) upbeat report admits that it is “hard times” for paid staff. With reports like this being published and lauded by government, it is indeed. How can libraries survive? – BBC. 90 seconds from the BBC TV news on the report and its implications. Plan to create libraries of the future – BBC. Summarises the report and comment son the BBC Radio 4 Today programme from the LGA that “The death of the book isn’t going to happen,” he said. “But equally if you go into a library now you find rows and rows of young people or older people using the internet and studying and that isn’t something I think we would’ve envisaged 30 years ago and certainly not 60 years ago.”. Libraries, he continues, should take their “fair share” of cuts. The BBC editor has picked largley positive comments about co-locating libraries (such as in doctor’s surgery) for the highlights in the comment section. Shirley Burnham – Radio Five Live (1:50:19) – Library campaigner Shirley Burnham puts up spirited defence for librarians and library buildings. One library in Swindon was turned over to volunteers but will be returned back to being run by paid staff as it had problems recruiting volunteers. “Excellent professional staff, with knowledge and experience” highlighted “.. not trying to sell you frozen peas, God or a recycled computer, it was a community public space, completely neutral “. Statement on the future libraries report – Voices for the Library. “Voices for the Library believes that the set of proposals outlined will lead to serious damage to our public library network, and be counterproductive to efforts to modernise libraries and meet the needs of the UK public.” Volunteers should not be used to replace paid staff, libraries should be in library buildings. Privatising the process will mean short-term cuts in order to make profit and loss of paid staff. Putting libraries in shops will end their neutrality. No more xenophobia – Good Library Blog. Controversial as ever, Tim Coates comes out firmly in favour of privatisation, arguing that comments against it are xenophobic due to LSSI being an American company. “When they are given the chance LSSI tries to cut needless overhead and direct the resources granted to the library service in the direction of providing a better managed and better quality service. Because they are a private commercial company, with owners and investors in place of government grants, they need to operate at a profit; otherwise they would close.”. [NB. Tim has pointed out that the piece is intended to point out xenophobia rather than as a pro-privatisation piece. This correction added 8th August 2012]. Public libraries and me – Thebradfordlibrarian. Librarian describes what she gets out (often literally) of the library. Save our libraries: Reserve this book today – Playing by the book. “Last week we were on holiday in a county where 9 libraries have had their funding withdrawn. If volunteers can’t be found (putting aside the whole issue of whether volunteers running libraries is a good thing) the libraries, more than a quarter of all the libraries in the county in question, will shut their doors for a final time within a year. The message this sends out to me is “We, the powers that be, don’t care about imagination, exploration, understanding. We don’t care about community.”. 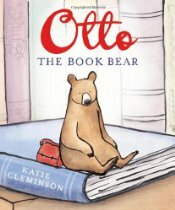 Otto the Book Bear is a book about the “magic of libraries”. Birmingham – “Massive” round of redundancies just finished. North Yorkshire – Campaign group: Gargrave Library Support Group. Brent – Time for a “consultation charter”? – Wembley Matters. Requirements for consultations nebulous and not firmly stated or listed. Latest campaign news – Preston Library Campaign. Impressive and imaginative fundraising events listed and other courses of action. Brent residents on why libraries are important to them – Save Kensal Rise Library. Gloucestershire – First birthday: the story so far – FoGL. Summary of the last year of library cuts and campaigning in the county including formation, a 15 000 name signature petition, council intransigence, formal complaints, legal action and the first ever legal injunction against library closures. “This has never been about party politics (FoGL supporters are drawn from a range of political affiliations, and walks of life), yet we have been at best ignored by the GCC administration, and at worst insulted and dismissed as ‘professional troublemakers’, ‘militants’ and ‘the usual suspects’ (whatever that means)”. North Yorkshire – Supporters need business expertise – Craven Herald & Pioneer. Gargrave Library campaigners unimpressed by council dashing their hopes over council support. Library group needs professional expertise in order to produce three year business plan but this has been so far been unforthcoming. Print article This entry was posted by Ian Anstice on August 7, 2011 at 10:12 pm, and is filed under Uncategorized. Follow any responses to this post through RSS 2.0. You can skip to the end and leave a response. Pinging is currently not allowed. The library is a “social networking” place where people are encouraged to enter at no cost, and with few expectations in terms of norms of behaviour. This gives us huge potential as a venue for everyday occasions for informal and formal interaction. We hold and provide access to a wealth of resources that people can use to explore differences, promote heritage and learn about solutions to problems. Library staff offer skills and support in technology, information seeking, retrieval and handling, and in the use and development of communication systems, which can be used to exploit the available resources and to share knowledge and experience. Similarly the library is widely perceived as a public resource providing trust and a public good. We make an overwhelming contribution to the city and there is a profound and often unrecognised association of individual identity with the notion of a public library.